January—a month characterized by gift returns, increasingly colder weather and New Year’s resolutions—is the perfect time to hit the slopes if you’re a beginner. While most people are vowing to spend less money or hit the gym, why not take up a more unique resolution and finally learn to ski or snowboard? The benefits that come with the two sports are practically endless—from total-body fitness to facing fears—and one could easily argue there is no bad time to start. While we agree, there are distinct benefits to starting in January; after all there’s no time like the present. First and foremost, January is Learn to Ski and Snowboard Month—and that means fantastic deals for beginners. From California to Maine, mountains all over the country are offering packages for as low as $30, with everything you could need to start skiing or snowboarding. And for those who already have skills in both sports, there are discounts when you bring a friend. If you need a little more than a monetary incentive, both skiing and snowboarding are incredible workouts, testing strength, stamina and cardiovascular fitness. We could all use a little more fresh air and exercise in the middle of winter—especially right after the typically sedentary holiday season. Snow sports help you embrace the cold and conquer it; and who wants to sit inside for months on end anyway. 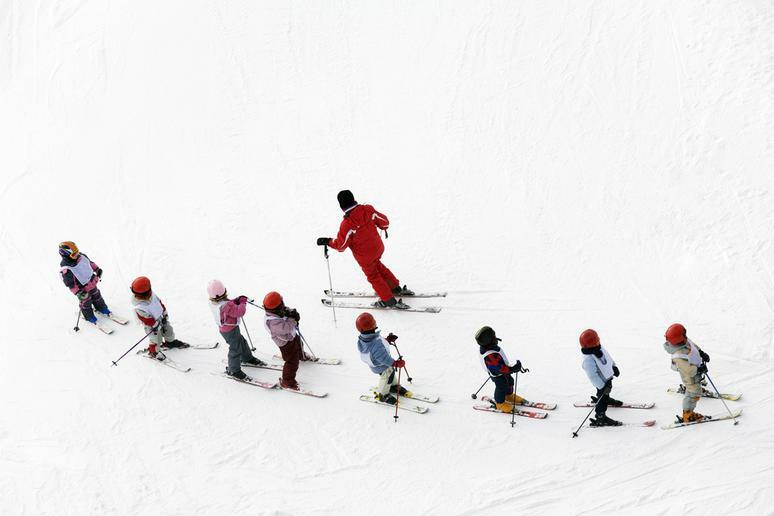 By learning to ski or snowboard now, you might be ready to take a ski trip by spring break. But even if your lesson (or lessons) don’t go quite so smooth, simply trying something new and learning a new skill are more than enough reason to give it a shot. Who knows, you could even meet new friends, find that you love the thrill of descending a mountain or become the next Shawn White. So check out the beginner deals for January—save some money, take in the fresh winter air and challenge yourself to try something new and exciting this month.